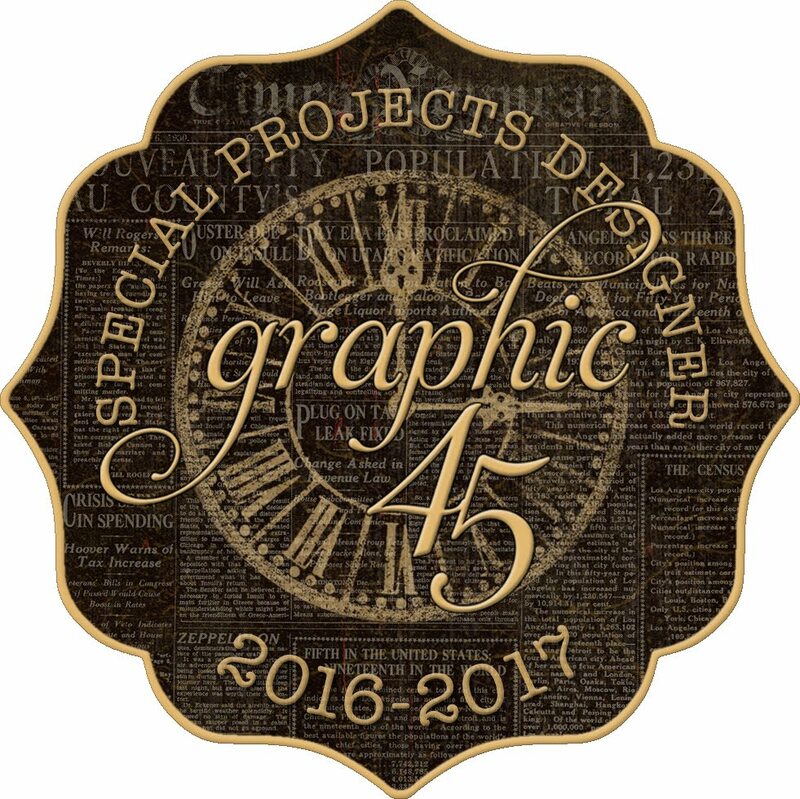 This weekend I'll be teaching two Graphic 45 classes at Scraporium in Tampa. One of which is a Nature Sketchbook planner/album and the other is a Cafe Parisian Bakery Shoppe. 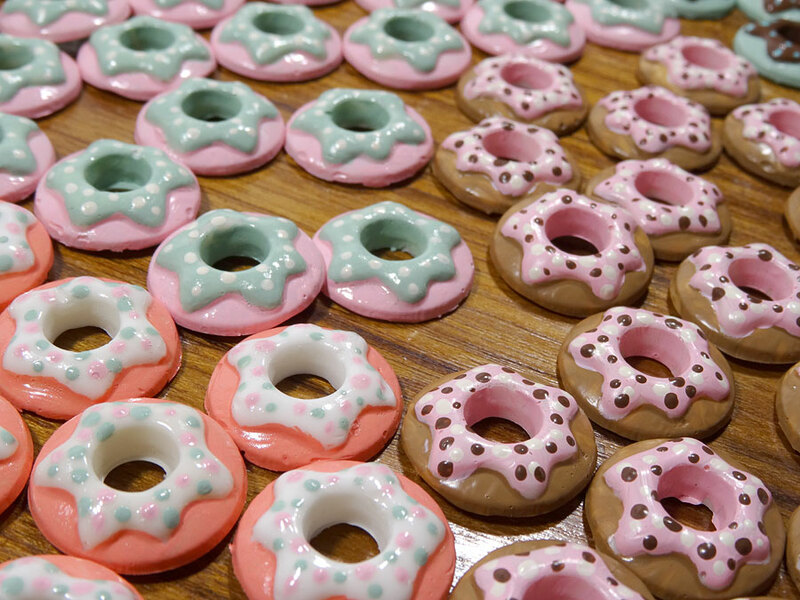 I've been prepping for weeks and sharing teasers of these cute little sweets on my social media along the way, so I thought I would share how I made them today. 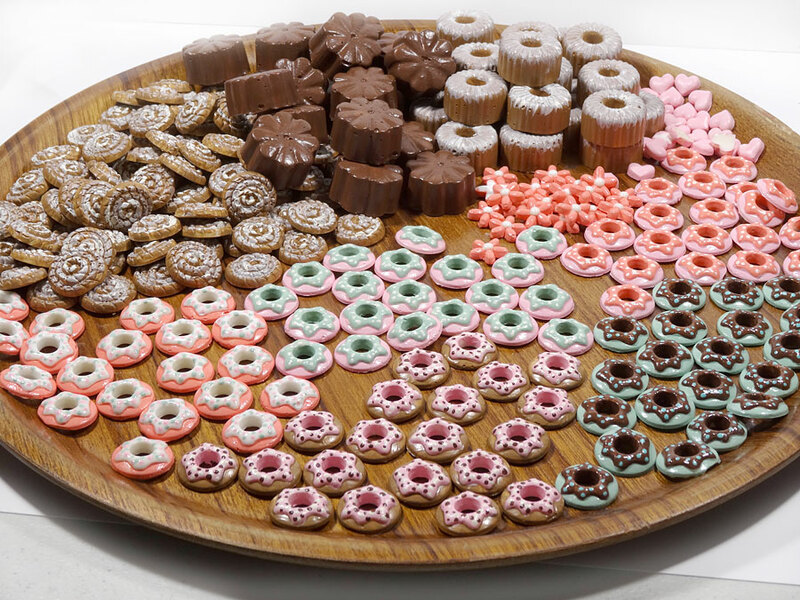 A handful of years ago, the Decoden hobby was all the rage in Japan. It tried to catch on here in the states, but I'm not sure if it ever did. Japan teenagers seem to love "super cute" anything. 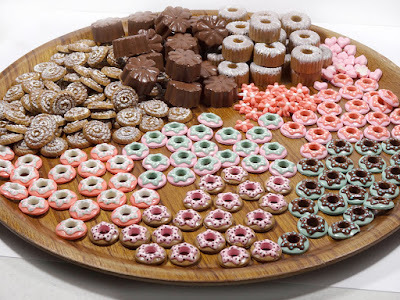 If you don't know what I'm talking about, click this Google search link for Japanese Decoden. 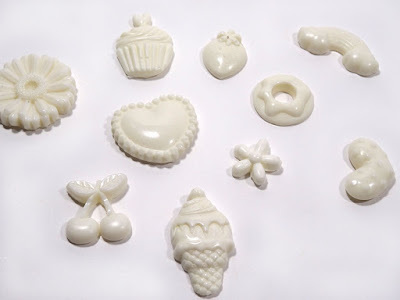 Basically, it's the hobby of "frosting" items (like we alter items) and then pressing cute gems, figures, molds into that frosting, then sprinkling with glitter to max out the cutesy factor. 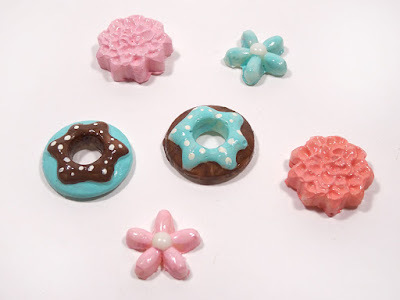 At the Craft and Hobby Association show back in 2014, I was first exposed to this cute hobby in the Plaid booth, featuring some very fun Mod Melt Molds and Melts (glue sticks). Keep scrolling through this post to the end to see the cute projects I made with them. 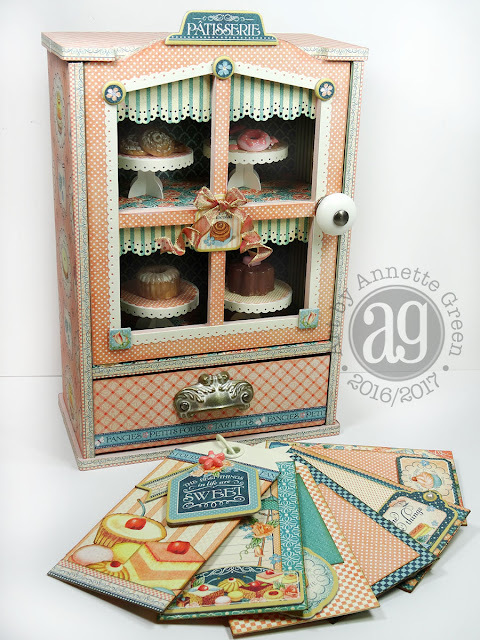 When designing a project to teach using Graphic 45's Cafe Parisian collection, it naturally came to mind to create a bakery shop. And what better to fill that shop than with little French baked goodies? The Mod Molds immediately popped into my head. 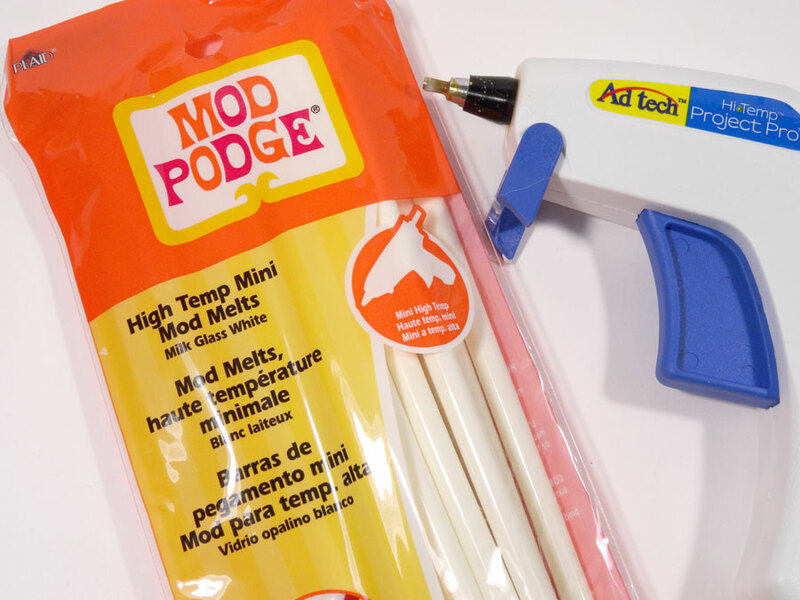 To start, you'll need a hot-glue gun (mini size) and the Mod Podge Mod Melts. I like the Milk Glass White because I like to paint mine, but there are multi-color and glitter sticks to also pick from. I found these at both Joann's and Michael's craft stores. Then you need molds. The orange one above is an actual Mod Podge Mold (of which there are many choices and themes) and the brown one is from the candy-making aisle of the craft store. 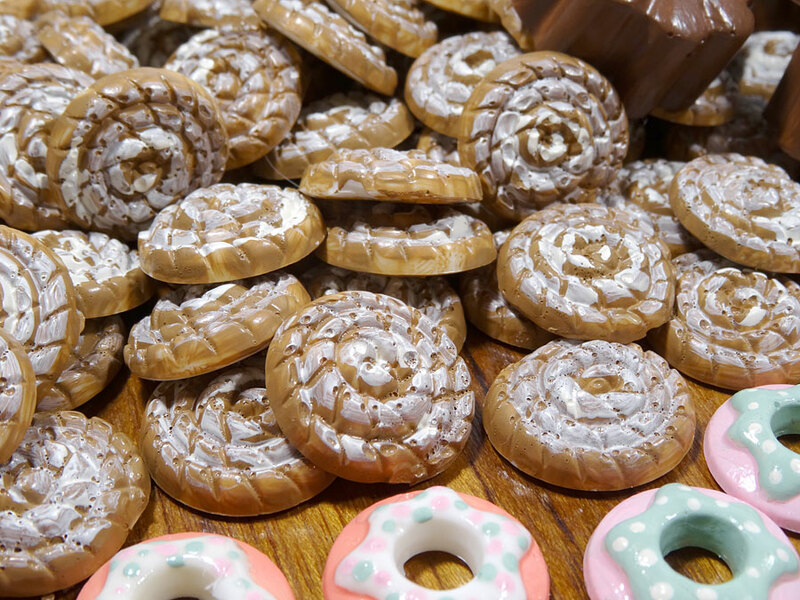 You would normally melt chocolate wafers and pour them into this type of mold, so I thought "Why wouldn't they work with my hot glue?" And I found that they did. It only takes a few minutes for them to cool in the molds, then you can pop them right out. 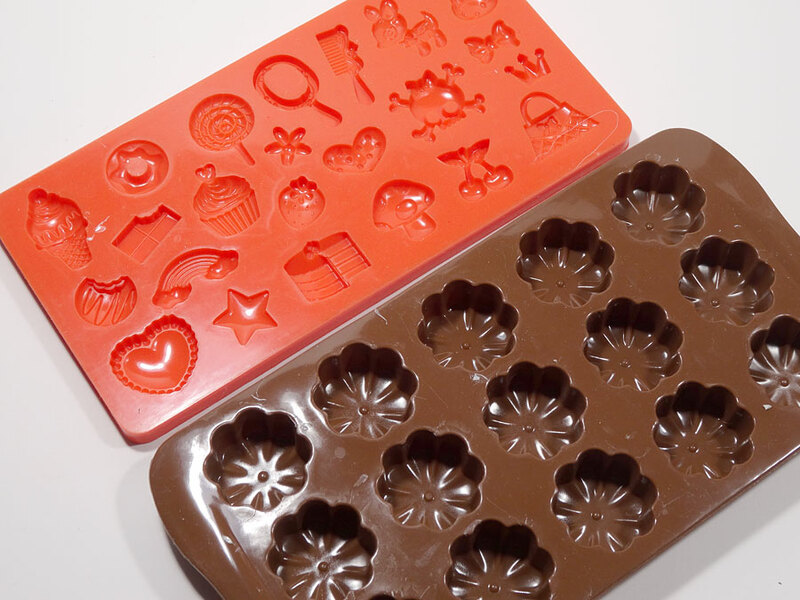 The molds are made of flexible silicone rubber, which makes them super easy to release. 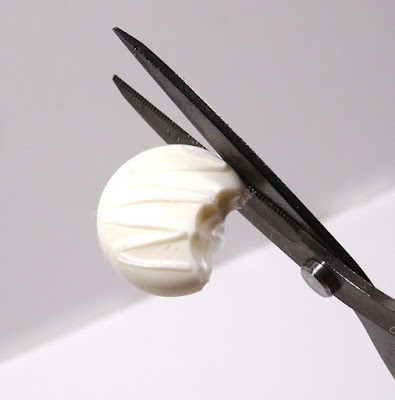 It cuts off easily with basic crafting scissors. No special tools required. 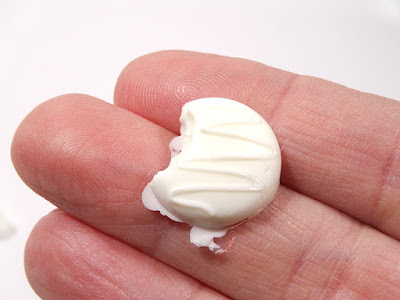 Then you can have fun painting them with acrylic paints. I like Satin finish (or glossy) paints, and especially like FolkArt satin finish paints for their single-layer coverage and slight gloss. If you can't find the right paint color you like in satin, you can always use matte. Just follow up with a coat of Mod Podge Gloss Luster. 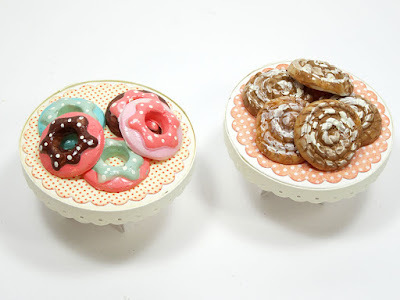 These cute little "cinnamon rolls" were made from the lollipop mold, from which I simply eliminated the stick. 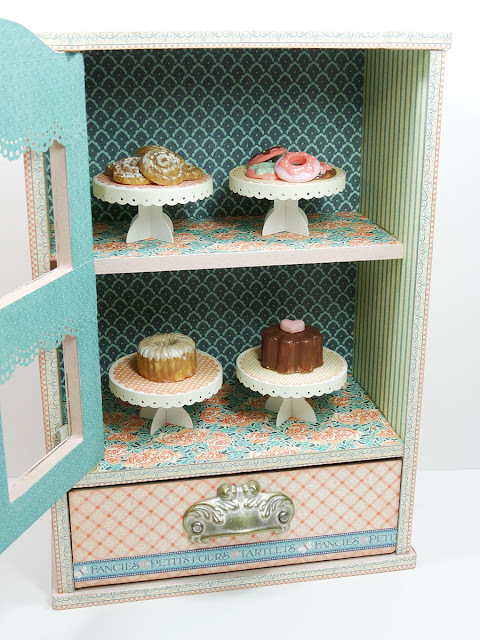 Students will put together four little cake stands (which I created on my Cricut machine in Design Space) then adhere their baked goods on top. Each stand will get adhered inside the bakery window. I purchased a small LED light for mine which I will show the class Saturday. Here are my first tries with the molds a few years ago. An altered picture frame, make-up compact, and cellphone case. 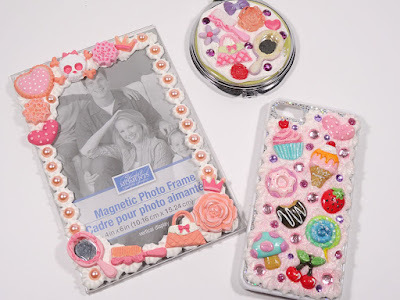 This would be a very fun craft with younger kids through teenagers. But really, as we crafters know, we don't ever outgrow these things. Age isn't a thing when it comes to crafting. Right? Thanks for popping in today, I'll be sharing a bit about this year's CHA show, now named Creativation, next week so stay tuned. I had the greatest time teaching in the Graphic 45 booth this year. I'll share that project I taught as well as lots of photos. Oh great...another new thingy to add to my Craft Needs List. Soooo cute and fun! Great tutorial, Annette! I would have never guessed that's how you made those cute pastries! Just when I think you can never get any better, you prove me wrong! These are ADORABLE!!! They are so real looking I thought there were! Awesome! I love these. They're so cute! 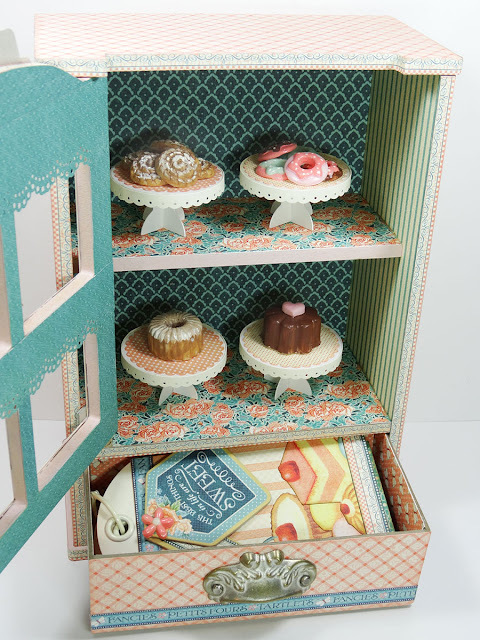 CTMH has a new paper collection called Sugar Rush that would be the "icing on the cake, uh, donuts". But then I love Graphic 45 papers, too. Oh, the choices we have.... Love your donuts and that adorable bakery window. These are so adorable! I will be trying this out with my granddaughters very soon. 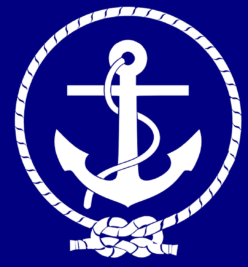 TFS!!! OH my gosh Annette these are adorable!!! They look so realistic! And that cafe bakery!!!! I LOVE it!!!! Is there any way you would be willing to give the tutorial on how to make the bakery?? I would love to make this for my sister's wedding.... please! You are a genius! I LOVE these minis and cannot even imagine all the work...WOW!!! Your class will be overjoyed!!! I am taking the class on Saturday and am now more excited than ever! Thanks for such a great project! Wow!... what a creative project. I saw something on Amazon that would be amazing to package your tiny creations in. It's a mini cake stand that comes with gold ribbon at the base. It's made of clear plastic but looks so pretty when you put mini pastry items or even candy inside. This particular set also comes with a doily and a cute tag. Even the box they come in looks vintage inspired. Sorry to ramble on and on but your creations would be a perfect party or wedding favor displayed in these little cuties. Take a look if you get a chance. Thanks for sharing your project and best wishes.